No 12, Xisi Beiertiao, Xidan Beidajie,100034. 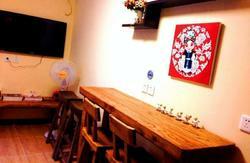 IT IS HARD TO PLEASE EVERYBODY BUT MORE THAN SEVEN HUNDRED GUESTS HAVE REVIEWED OUR HOSTEL!!!!! -ticket booking including train, flight (both international and domestic) and ferry. Tired of the similarities, come and stay with us for a change. FROM THE BEIJING AIRPORT: take shuttle bus Line 2 to the last stop; the Xidan Aviation Building (the shuttle bus terminal). Get bus No 22 just in front of the Aviation Building beside the main street and get off at XinJieKou stop (should be the 6th Stop). 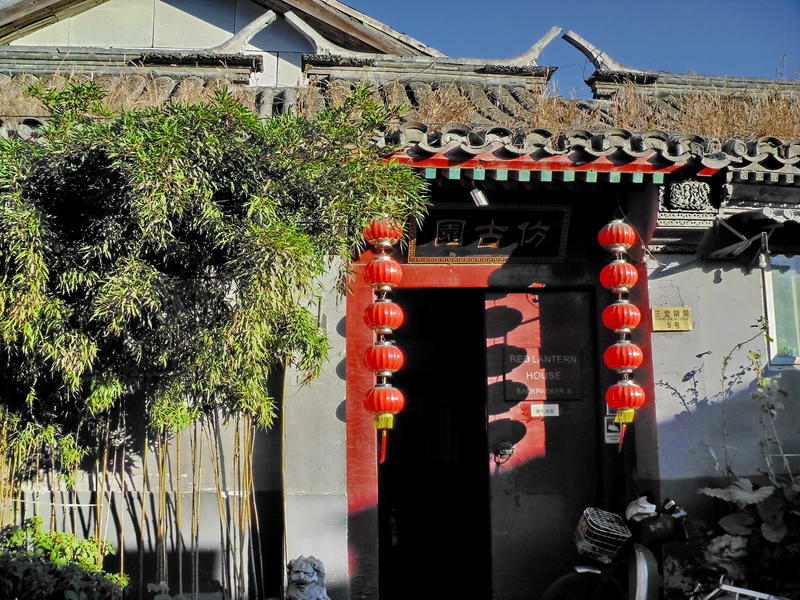 Then walk back about 100 meters along the street, find the 'Dairy Queen' sign and turn into the small alleyway beside the DQ about 100 meters eastward, you will see Red Lantern House on your left hand side with Chinese traditional wooden doors and two red lanterns on it. FROM BEIJING CENTRAL RAILWAY STATION: take Subway (Beijing Zhan) and then get off at Jishuitan Station where you will take exit C. Turn left outside of exit C and then walk South about 15 minutes. After you see McDonald's on your right hand side, keep going ahead about 50 meters, you can see 'Dairy Queen' on the left hand of the street then turn into the alleyway beside the 'DQ' shop. Or you can take bust No 808 from Beijing Central Railway Station and get off at XinJieKou stop, then walk ahead about 50 meters, you will see ' Dairy Queen', then follow the directions above. FROM BEIJING WEST RAILWAY STATION: take bus No 47 and get off at XinJieKou, walk back about 150 meters, find the 'Dairy Queen shop on your left hand side and turn into the alleyway beside the shop. 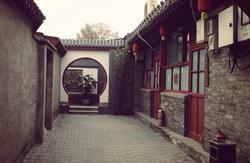 About 100 meters away, you will find 'Red Lantern House' on your left hand side. 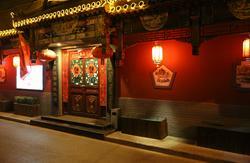 BY TAXI: If you take a taxi from Xidan Aviation Building to our hostel, the cost will be around 15-20yuan. From the airport by taxi will cost about 120yuan..
We have all sizes of buses and cars to take you to any where you wish to go and pick you up anywhere you arrive. For this service, please send an e-mail or just call. It is always helpful to keep the phone number if you are lost. If you wish to take taxi to the hostel, don't use the service desks in the lobby of the airport or those offer you a ride to the city center because most they are always ready to rip you off at more than 300 RMB by putting you onto their private car without a taxi license. From the airport to the hostel it never costs more than 120 RMB. You can get a taxi from just outside of the airport lobby. Please use licensed taxis for more reliable service. If you are overcharged, don't hesitate to contact Simon. In order to get to the hostel from the airport without hassle, we provide a very reliable airport pick-up service taking you all the way to the hostel without any problems. It costs 160RMB per car with max.3 people with luggage from 7:00am to 11:00pm. Due to the price for gasoline have been rising several times during the last year, the price for airport pick-up to Red Lantern House will be raised to 160RMB/car from the 1st of August 2010 and Before it is 150RMB/car . For other times it costs 180RMB. The above rate includes high way toll and you need to pay for the parking at the airport. It cost around 6-16RMB in two hours. To get to the airport from the hostel, it costs 160RMB (7am to 11pm) including high way toll. For the service, please contact us in advance with information of your departure city, flight number and your names. TO SAVE YOUR TIME AND MONEY PLEASE CALL SIMON WHEN YOU ARE LOST.